ReviveTX is a movement to unite the many congregations of DFW for the sake of seeing our community revived by the POWER OF THE GOSPEL. For 50 days, in 10 colorful regions across the Metroplex, believers joined together and hit the streets to share the Gospel and make disciples. 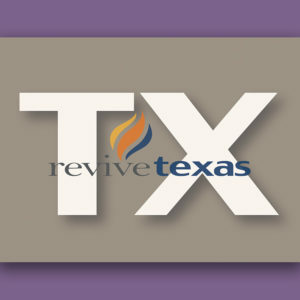 2,685 people came to know the Lord in those 50 days (April 16-June 4, 2017), and now reviveTX carries on as a remnant of believers continue hitting the streets to share the Gospel through scheduled outreaches in each of the ten regions. Taking the love of God to all people, meeting their needs where they are and leading them to lasting relationships with Christ.